There is nothing more critical to Attorney Mark J. Kogan than helping individuals who have been injured at work. His focus on workers’ compensation cases has given him the opportunity to address a wide range of legal issues varying in complexity. As a Statewide workers’ compensation attorney, he works diligently to secure the most favorable outcome possible for our injured clients. He aggressively pursues lost wages and payments of medical benefits for individuals injured on the job. His commitment to pursuing legal excellence has led to Statewide recognition and honors. He has been regularly included on the Super Lawyers® list since 2009. Attorney Mark J. Kogan began his legal career representing victims of crimes as an Assistant District Attorney in Chester County. His professional experience also includes providing counsel for a Fortune 500 company and working as an attorney for an insurance defense firm. During his legal studies at Widener University, he received the Outstanding Student Service Award and clerked with the Pennsylvania Attorney General’s Office. He also interned with Delaware State Supreme Court Justice Andrew G.T. Moore while he was in college. 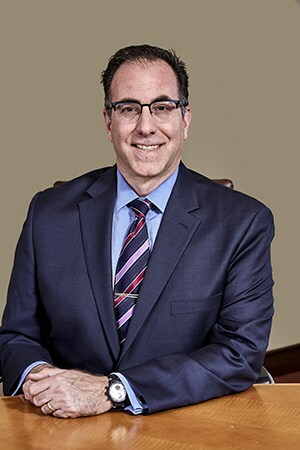 In his free time, Attorney Mark J. Kogan is the Executive Vice President and an active member of his synagogue’s Board of Directors. He also writes and edits the central Pennsylvania bilingual newspaper, La Voz Latina Central and contributes articles to the Spanish Language newspaper, El Mensajero. If you have been injured on the job or in another negligence-related accident, he can help you take swift and decisive legal action to pursue compensation by filing a workers’ compensation claim.